The VPUSBC is proud to announce our 2014 inductees to the Hall of Fame. Being inducted for bowling performance are William “Bill” Glazier IV, and Rich Brewer. Being inducted for meritorious service is Judy Golightly. Glazier has bowled since he was a young boy starting out at the old Newmarket Lanes. He bowled at houses across the Peninsula and is currently part owner of Century Lanes in Hampton. He has been a member of the association All Star team in 2011-12, male bowler of the year that same season, and holds the men’s VPUSBC all time high average for a season with a 241 for the 2011-12 season. On December 12, 2013 Glazier bowled an 858 series. He’s bowled numerous high scores over the years. He also owns X-Treme Performance Pro Shop located inside Century Lanes. Brewer has also been a bowler since he was a young boy and a member of our association for almost 30 years. His bowling achievements include being the first person to bowl an 800 (825) series at Fairlanes/Hidenwood. He is has won numerous awards locally and on the state level. On December 28, 1994 he had an amazing night of bowling with an 811 series for his first three games of a doubles league and finished off the night with a 300 game for a record 1,111 series for four games. In 1996 Brewer shot the first 800 in the Hampton Roads Bowling Assn Open city tournament and combined with his doubles partner Richard Avery for a 1573 scratch doubles score. That record high score remains unbeaten today. He has had 11 800 series and more than 20 300 series. Golightly has been a name and face that many association bowlers recognize and remember for her longtime commitment to the sport. She has been involved in bowling since the mid- 1970s when her son wanted to bowl. During her time volunteering with youth bowlers the owner of Newmarket Bowl in Newport News hired her to become the League Coordinator. She was encouraging the to bowlers and always looking for opportunities to let them learn more about the sport and participate in tournaments across the state. She has had an impact on the youth bowlers she mentored with many of them becoming members of the Hall of Fame themselves or members of the All Star teams. She, too, has been a bowler and is member of the Virginia Queens and the Virginia 600 club. This entry was posted in Uncategorized on October 31, 2014 by Virginia Peninsula USBC. The All Star Teams recognize the top bowlers for the Association. There are six All Star Teams, each team will be comprised of the top five bowlers in that category and the teams are Adult Males, Adult Females, Seniors Male, Seniors Females, Youth Male and Youth Females. The ALL STARS will be presented their awards along with Bowler(s) of the Year, Coach of the Year,Al Watlet Meritorious Service Award and this years Hall of Fame Inductees at the annual VPUSBC Awards Ceremony at the Magnuson Hotel and Convention Center in Newport News, VA. on November 8, 2014, ticket are on sale from a member of the Board of Directors or your Center Representative price of $35 per person. If you notice some positions on the All Star Teams are decided by a mear 10th of a pin showing how competitive our Association bowlers are. Our VPUSBC Senior All Star Teams must be 55 years of age as of August 1st of the year the composite average is taken (i.e. August 1st 2010 to be considered for the 2010-2011 Seniors All Stars), Bowl a total of not less than 132 games in two different centers in Virginia Peninsula USBC certified League lay with at least 66 games bowled in each center while attaining one of the five highest composite averages in Winter League as of June 1st of the preceding year in a certified leagues whose team playing strength is three or more members. The VPUSBC Youth All Stars must be a Youth member of the VPUSBC as of August 1st of the year the highest average is taken have bowled a total of not less than 2/3 of the scheduled games in a certified youth league from a bowling center in the Virginia Peninsula USBC certified league play of at least 16 sessions and attained one of the five highest averages in winter leagues as of June 1st of the preceding year. The Youth Girls was a real fight for position with only 4 pins separating 1st to 5th position, great job ladies and we look forward to seeing all of you advance in your skill level over the next few years! 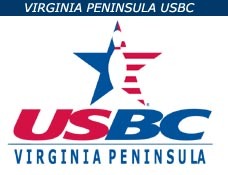 The Virginia Peninsula USBC would like to congratulate all our ALL STAR TEAM member’s for and excellent 2013 -2014 season and look forward to the battle for the All Star teams as this new season progresses. 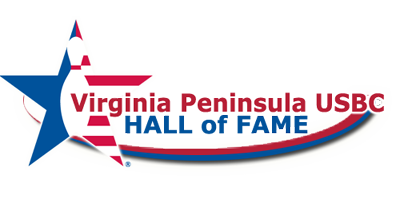 This entry was posted in VPUSBC, VPUSBC NEWS on October 16, 2014 by Virginia Peninsula USBC.